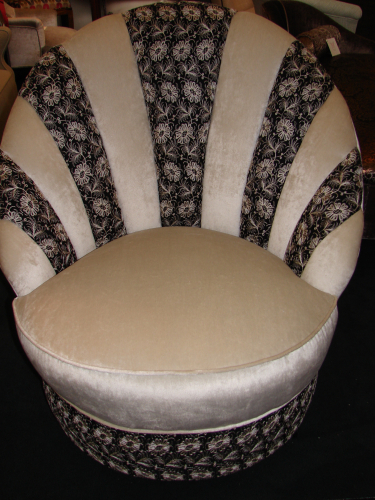 This beautifully decorative bedroom chair is shell shaped which is typical of the 30`s era. I have matched the ivory velvet with black 30`s embroidery on white silk. In a fairly neutral or monochomatic colour scheme, this chair would look very elegant.